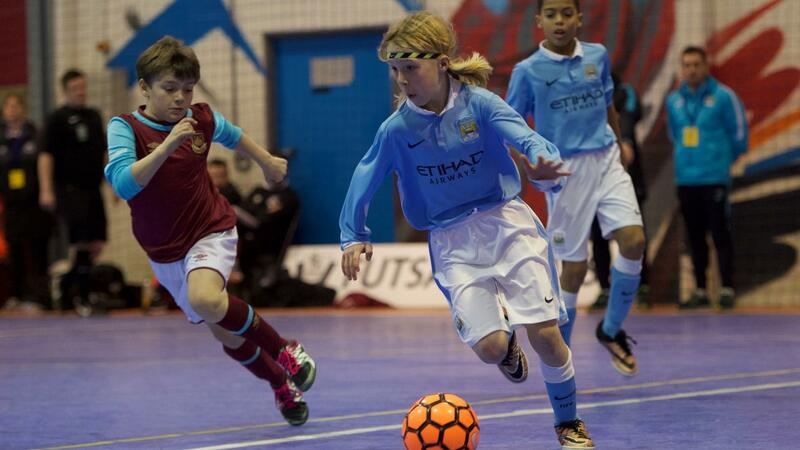 Everton, Manchester City and Tottenham Hotspur were crowned champions at the 2016 Premier League National Futsal Finals, which took place in Birmingham in February. 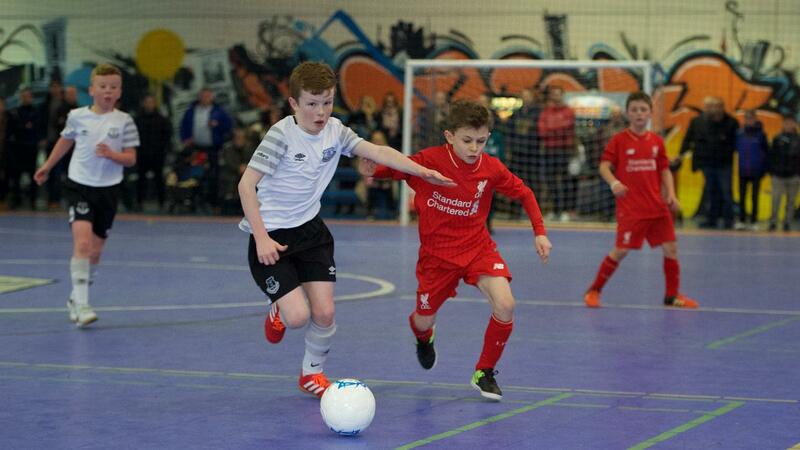 A total of 32 teams participated in four age groups at the Birmingham Futsal Arena, having made it through their regional qualifiers. 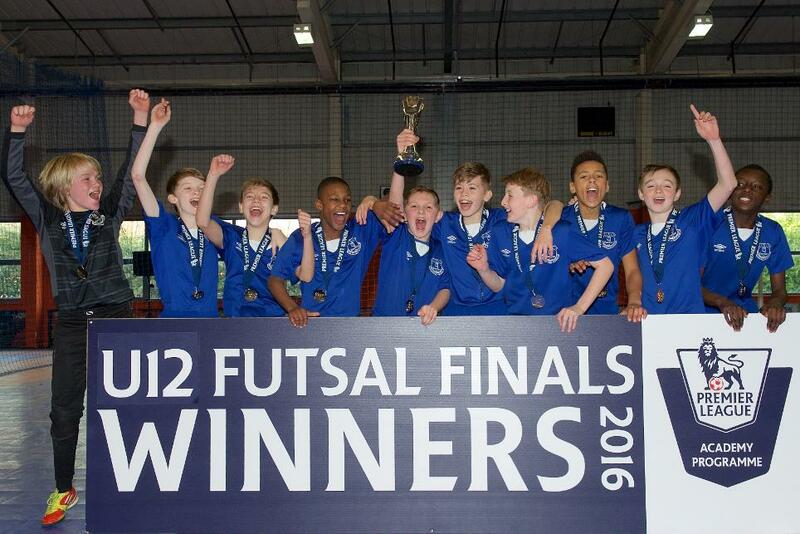 Everton were overall winners in the Under-9 and Under-12 categories, beating Derby County and Norwich City in the respective finals. Man City Under-10s beat Aston Villa in the final of the Under-10s while Spurs triumphed over Chelsea in the final of the Under-11 competition. As well as matches that produced plenty of quality and entertainment, players also received a visit from the Premier League Trophy and Match Attax. 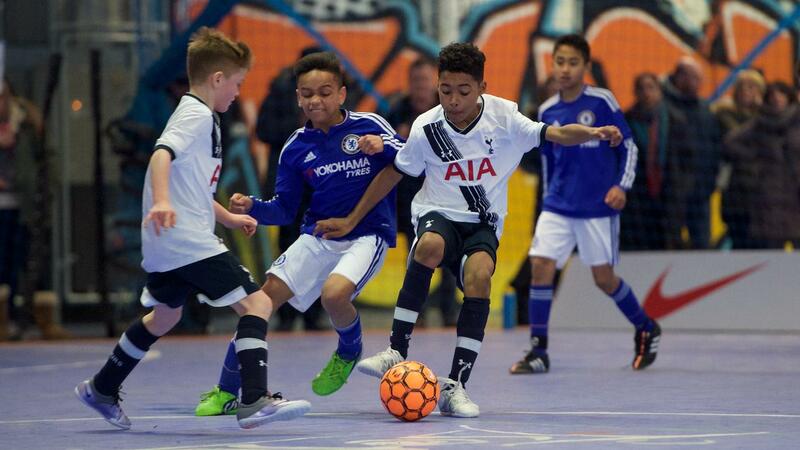 Futsal is a five-a-side game that helps develop close control, on-pitch intelligence and movement off the ball, and it has become an important part of the Premier League’s Youth Development programme since the League’s Elite Player Performance Plan (EPPP) was introduced in 2012. The EPPP is a long-term strategy designed to take Youth Development to the next level, giving more opportunities for players of all ages, from grassroots to the very top of the English game. The League has been running national tournaments for several years and past tournaments have featured many who now play in the Under-18 and Under-21 Premier League such Isaiah Brown (Chelsea), Ryan Ledson (Everton) and Patrick Roberts (Man City). Winners Everton. Runners-up Derby County. Plate winners Liverpool. Winners Manchester City. Runners-up Aston Villa. Plate winners Derby County. Winners Tottenham Hotspur. Runners-up Chelsea. Plate winners Newcastle United. Winners Everton. Runners-up Norwich City. Plate winners Chelsea.